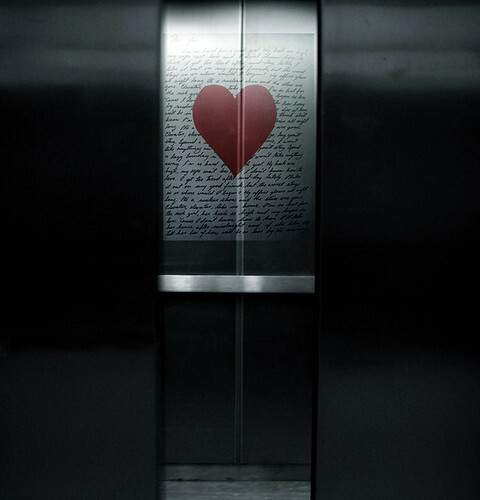 Elevator Love Letter, originally uploaded by Atomic Citrocity. Books just don’t do it for me anymore. It’s not normal, and it’s not me. We both know that. I don’t know whats going on. I pick one up, I read eight pages and I’m bored. I’m not tired, I’m not relaxed and I can’t wait to get out of that chair. Reading isn’t fun anymore, but not reading feels bad, too. I guess what I’m saying is that I want to work this out, and I need your help. Maybe I haven’t found the right one. I’ve been fooling around with a lot of graphic novels, knitting books and online articles that don’t need my full attention, then trying to sit down and get into heavy political or spiritual texts. Maybe I’m going about this all wrong. I really want to work on this, because I think we have something great going for us. I’ll start making an effort, because this is something I need to fix. I know this. I’m going to start making you a priority. You have my word as a bookworm.